It’s that time of year again when we get to spend some great quality time with friends and family. Along with all the hugs, laughter and catching up on the latest news, there will also be the inevitable family photos and selfie shots to commemorate the occasion. In anticipation of these candid shots, many of our patients ask us what they can do to improve their smile. They want something that’s not too time-consuming or costly but that will make them feel good about sharing their smile with family, friends, and most probably, cyberspace. Here are two ways that we can dramatically enhance your smile without breaking the bank or investing months of your time. There are two ways we use to help our patients to a brighter smile and which one will be best for you really depends on your budget and available time. We use Zoom2 for our in-office treatment and it offers several advantages. Professional in-office whitening can be done in just an hour or so and it provides the best whitening results, often brightening your smile up to 8 shades. For those who prefer using an at-home whitening kit, we have Day White-Excel3. It uses the fastest whitening gel available for home use and custom mouth trays for the best possible fit and results. At home techniques usually require a minimum of 5-10 days to achieve the desired results. You can brighten your smile up to 8 shades. What about tooth damage or sensitivity? There is always a level of sensitivity with whitening. The degree of sensitivity varies, but it will always go away 24 hours after you stop whitening. Whitening in and of itself, will not damage the enamel of the teeth. Brushing within 20 minutes of whitening can remove microscopic pieces of enamel because it is in a softened transition state during that time. If you are whitening at home, we suggest wiping the whitening product off with a tissue, and then brushing after 20 minutes when the enamel is back to its normal hard state. What does it cost and how long will tooth whitening last? The biggest factors that affect the longevity of the whitening is diet and tobacco use. Anything that stains a white carpet, will eventually stain your teeth. But, if you are careful about your diet, in-office whitening can last up to two years. As to cost, at-home whitening products range from $50-$250 and in-office procedures range from$300-$500. When your teeth require more than just brightening than porcelain veneers are a great option. 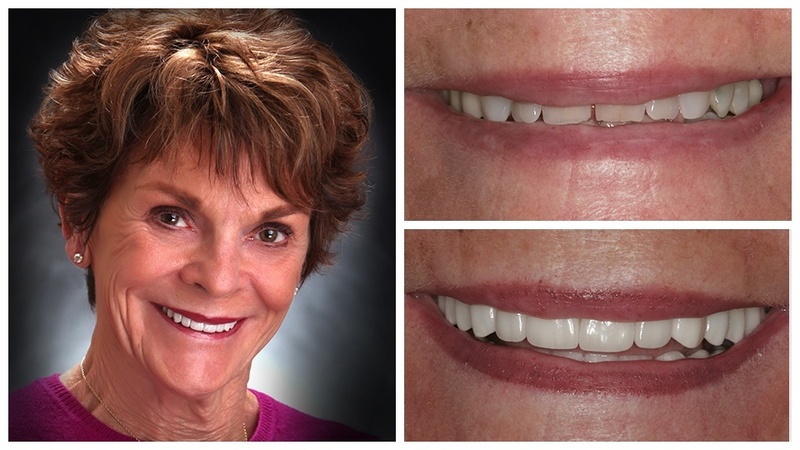 They can completely change the look of smile your quickly and affordably. In the hands of an Accredited Member of the American Academy of Cosmetic Dentistry such as Dr. Horn, they will look completely natural. Because of the advanced training needed to get that status, our dentists understand and have mastered the techniques needed to create natural looking teeth. Just visit our smile gallery to see the beautiful results you can enjoy. We look at teeth comprehensively, first treating any underlying issues and thereby minimize the risk of having veneers fail. When we are treating a very healthy and stable oral environment, there is no limit as to how long veneers can last. 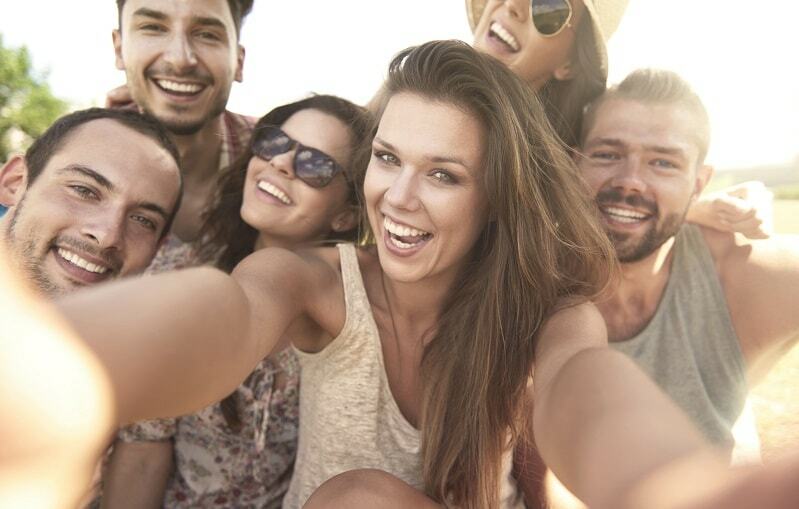 Your smile can be holiday selfies ready in no time by using our fast and convenient teeth whitening or porcelain veneers treatments. Contact us today to make your appointment and get ready to smile!